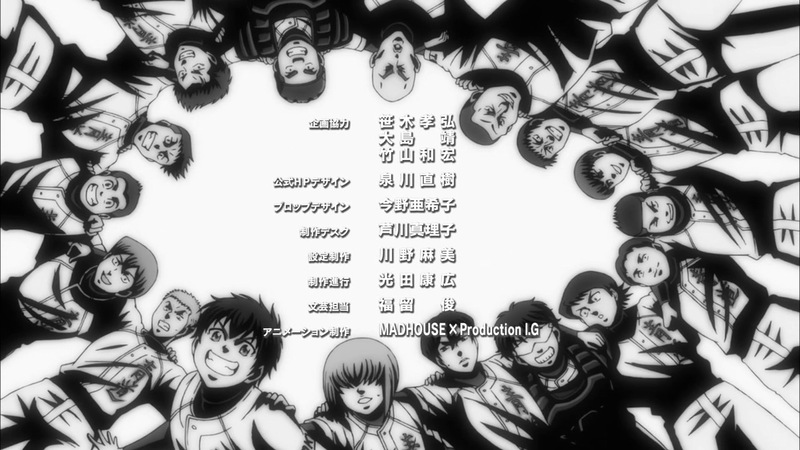 A new cour, a new OP and ED, and to some extent, a new Diamond no Ace―or at least one that's been sharper and more riveting than ever of late. Taking everything into account, the last stretch of episodes might just be the best Diamond no Ace has put together so far. Frankly, Ochiai has impacted the story in a far more positive manner than I ever thought possible. He's pushed along the arc of characters who were seemingly running in place, and created a fascinating dynamic inside the Seidou clubhouse. And the sense now is that the tension is just about to ramp up in a big way. We got a new OP and ED this week, both rather harder-edged (both musically and visually) than what's come before, and they seemed to fit the tone of the show itself. This was really an excellent episode - tight, focused, tense, funny. There's no denying Daiya no A has a history of drifting when it loses forward momentum, but right now it's totally on-point. It really seems as if there's a lot of serious stuff about to come down, and that it's going to change things in a big way. The contrast between Kataoka and Ochiai is really coming into clear focus now, and it seems impossible that this bizarre coexistence between them can continue for long. If one could splice the two of them together I think you'd have a really good coach - Ochiai is clearly a brilliant instructor and knows the game encyclopedically, and Kataoka has a certain talent for motivation and concern for his players. 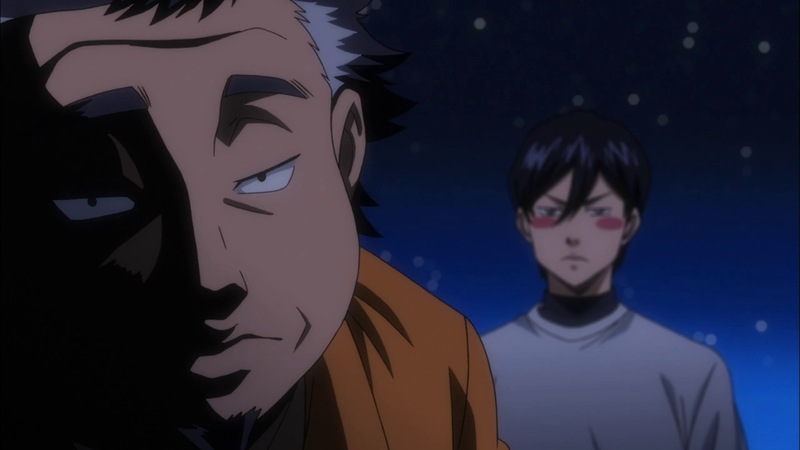 Ochiai has an agenda for everything he does, and he's surprisingly open about it. With Eijun it was largely to prove to him that he didn't have the stuff to be an elite pitcher, but Ochiai still comes off looking good because Eijun blossomed under his tutelage. 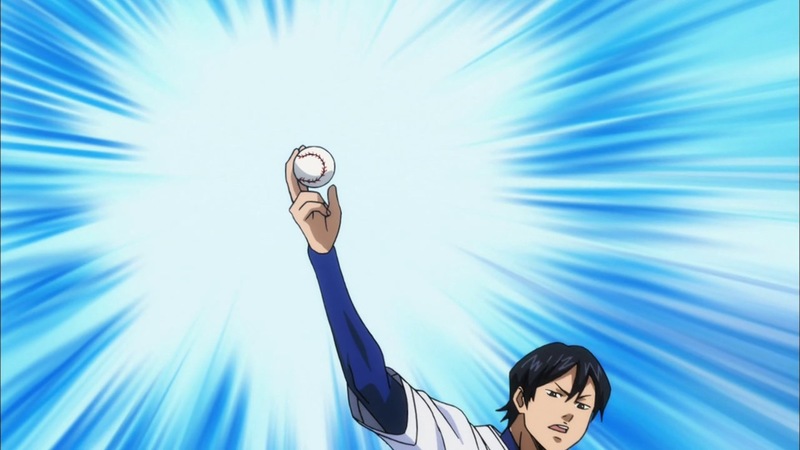 His long game is still to ride Furuya as far as he can take him－to make Furuya the "best pitcher in Japan"－and the stuff he does with Eijun and everyone else is really in service to that larger plan. Ochiai even admits (though only in his own head) that he's rather the world not get a look at how powerful Furuya is until the summer (which is of course Ochiai's endgame). Turns out some of the second-string guys have been getting advice from Ochiai for a while (we'll see how that works out) and now Furuya－traumatized by a teammate doing well－has asked him to teach him offspeed pitches. Kataoka seems finally to have seen the handwriting on the wall－this man is impatient for regime change and is undercutting him with his own players. It's actually not Ochiai's fault, but rather that of the administration for imposing an untenable arrangement. But nevertheless a house divided against itself cannot stand, and a team of high school baseball boys is no exception. As an offshoot of this dynamic, we seem to be in the midst of an axis developing－Kataoka and Eijun against Ochiai and Furuya. 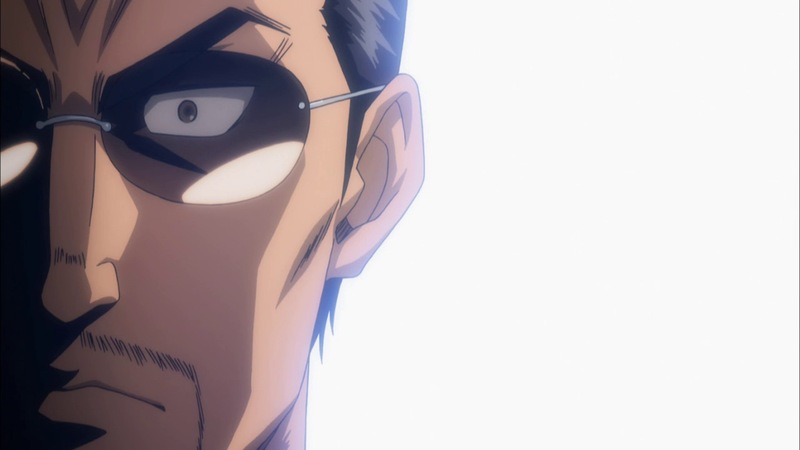 That makes Kataoka's decision to call an intra-squad game all the more fascinating, especially when he chooses Eijun to start for the second-stringers and declares he'll coach the scrubs' team himself. 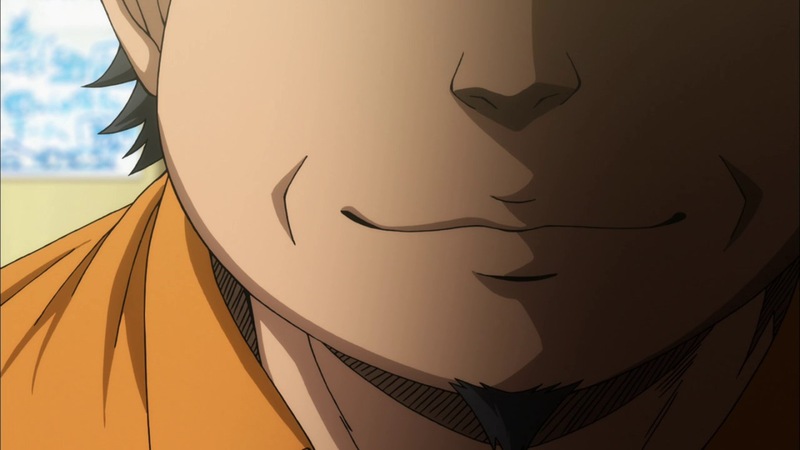 Kataoka isn't exactly a master strategist, but it's clear nonetheless that he's scheming hard here. 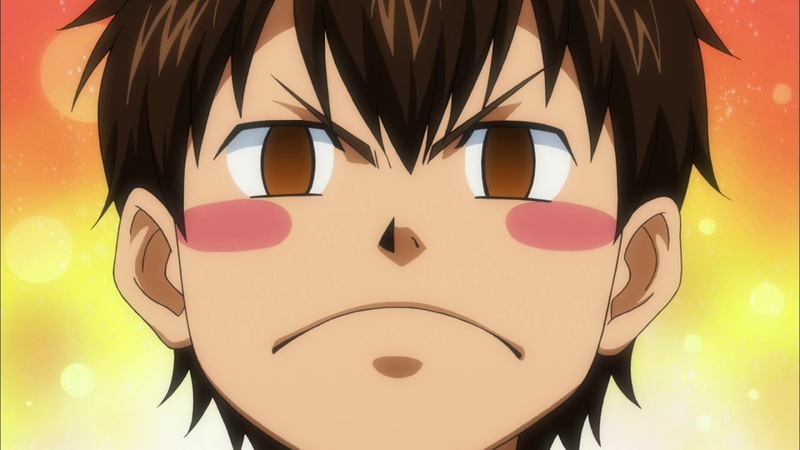 What's his angle－does he want to give Eijun the chance to prove himself against the A-listers? Is he trying to teach Ochiai a lesson－to beat him with backups, humiliate him and put him in his place? 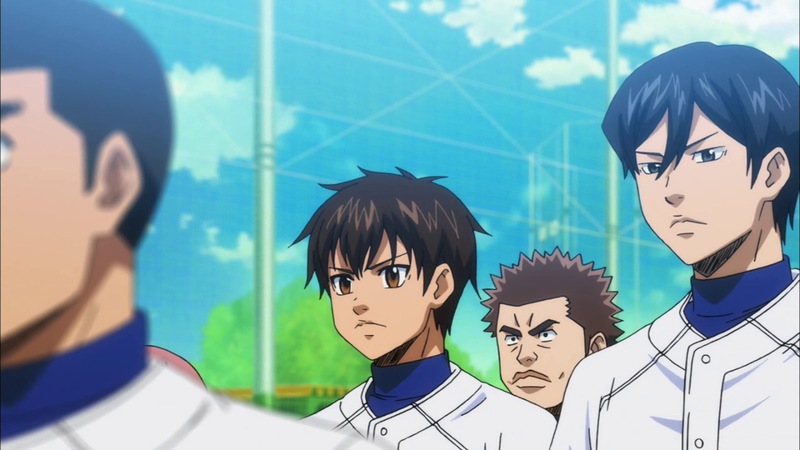 One thing's for sure－Eijun has spilled the beans that the team knows Kataoka plans to leave after the Fall tournament, and that they mean to stop him by winning it. Never mind the opponents－this is turning into an all-out war. A war for control of the team and for the ace number, and what happens in this practice game could shed a whole lot of light on who's going to win those wars. Haikyuu!! fans rejoice! The second season starts airing in October. Let's hear what the voice actors for Hinata Shouyou and Kageyama Tobio have to say! Slam Dunk and Kuroko no Basket are two definitive anime titles about basketball. Both became hugely successful in the respective periods they were released - comparing the two was always going to be inevitable. Let's take a look at some differences and similarities between them!